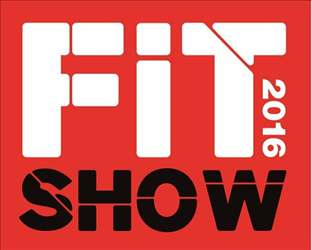 As we get to that time of the year when people start to think about new diaries, it is amazing to think that in a little over six months it will be time for the FIT Show all over again! This will be the third FIT Show and yet the first one only seems a short time ago. In planning for next years’ show it is obvious once again that the composite door suppliers will be out in force. What does this tell us? It tells us on the one hand that the companies in this sector are very active and very keen to push what has become an outstanding product concept with many brilliant variations. It also tells us without a shadow of a doubt that the composite door market continues to boom – from consumers back through the trade installers, and ultimately to suppliers like ourselves. It is with installers in mind that I want to talk about the Master Fitter Challenge at the upcoming show. Installation of such an aspirational product – as I have said on many occasions previously – is such a critical part of the whole composite door experience. Consumers expect a high level of product and services, and good installation is a major part of it. It is why composite doors are an obvious fit for the industry show’s major competition and it is why we are very supportive of it. Composite doors are now an automatic choice to be a part of the Master Fitter Challenge this speaks volumes for where the product now sits in the industry. We are very happy to be the sponsors of it and working with GQA who are running it to make it as authentic and meaningful a challenge as we can. It might be six months away, but the process starts right now; installers interested in taking part need to apply straight away – the closing date is 30th November. I hope lots of installers get involved; it is going to be the best challenge yet!